While watching Argo, I can't seem to separate Homeland and Scandal storylines and characters from the movie, which means my TV series life has overlapped in every movie I get to watch (oftentimes, even in real life). I love the cinematography and the stock footage. 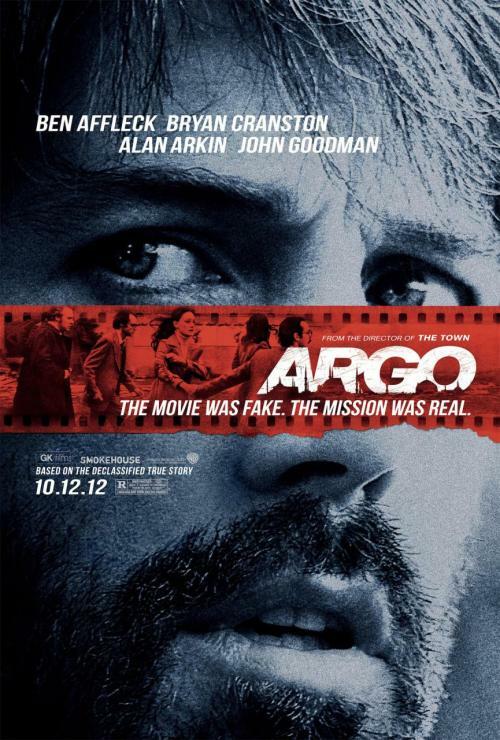 I never imagined Ben Affleck to be actually good in directing a film, but he did it. I especially loved Affleck's scenes wherein his character, Tony Mendez, need not to utter a single word in order to portray what he's thinking and feeling. Bryan Cranston in this movie was more of Mr. White instead of Heisenberg, yay! The best part of it all, Clinton's declassification of the whole operation. The world finally found out the CIA's involvement in the whole rescue mission. How Mendez earned his Intelligence Star has finally gone public.